There is an increasing percentage of users who use smartphones to access the web, so no business can overlook the importance of a site optimized for this environment. If you already have a website properly optimized for desktop and don't intend to create a new one using the Responsive Design methodology, then we suggest creating an optimized version for users accessing your website using their smartphones and tablets. 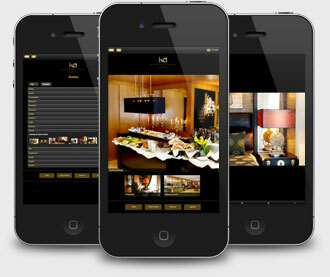 It is important to understand that it isn't enough to just have a website that works on mobile devices. It should be designed to ensure that reading is facilitated (avoiding the user having to constantly zoom), that the most important information is on greater prominence and that unnecessary graphics are removed - because, as a rule, users with smartphones have slower connections and prefer not to consume bandwidth unnecessarily. Thus, if your Web presence is not yet optimized for this mode of increasing importance, we suggest you contact us and find out how Openquest can help you have a stronger and optimized presence in the palm of your potential customers hands.